Quaker Center has openings for camp counselors (high school age and up). Junior Yearly Meeting is seeking Friendly Adult Presences (age 21+). Application due asap. FCNL seeks to hire an Advocacy Corps Coordinator to launch and lead a program in which young people serve as paid organizers in their own communities and campuses. 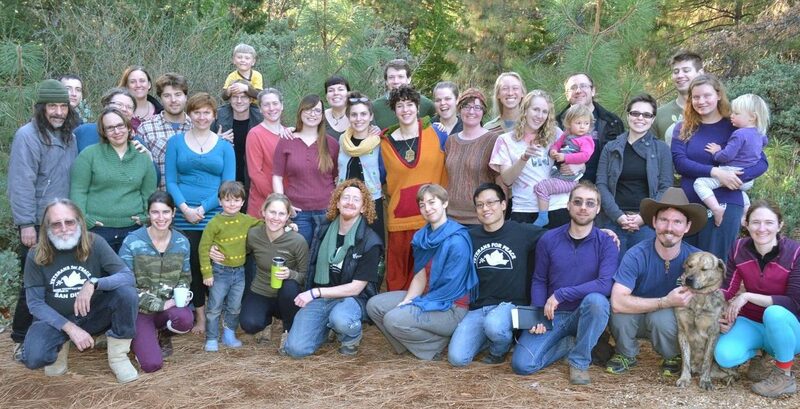 Quaker Earthcare Witness is accepting applications for mini-grants, this year emphasizing the work of young Friends and Friends working outside the US. 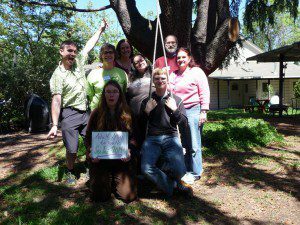 “My first formal travel in ministry was under the care of Pacific Yearly Meeting. In 1982, with a minute from Santa Cruz Monthly Meeting endorsed by [PYM], I took part in a cross-continental bicycle peace pilgrimage called the “Peace Peddlers.” Six west coast adult young Friends, all of us in our 20s, rode from San Francisco to Washington DC (touching Mexico and Canada), listening to the American people for the spiritual grounding that would lead to nuclear disarmament. Leaving California in 1984, I moved with my spouse, Minga Claggett-Borne, to Greensboro, NC, where we helped organize the 1985 World Gathering of Young Friends. Minga and I then came to New England to serve the Friends Meeting at Cambridge as Resident Friends. From 1991 to 2013, I was the lead staff person for New England Yearly Meeting. Also for Annual Session, our Youth Program Committee is putting together an interest group, “Of Such is the Kingdom of Heaven: PYM’s Youth and Intergenerational Community,” with the intention of getting interested Friends and representatives of all the various youth and intergenerational programs of PYM into the room together to coordinate schedules and share ideas. In it we will also be presenting on how the new Youth Program funds (interest from the Bob Vogel Endowment) and other support from our committee may be accessed. Other committees, such as Children’s Religious Education, Peace & Social Order, and Unity with Nature will have interest groups as well. This effort toward building a vibrant intergenerational Religious Society of Friends takes participation from all of us, including Meetings, Worship Groups and committees with few or no youth. This spring, fifteen adults participated in the two Becoming Adult Allies to Youth workshops. Many thanks to Julian Garrett for co-facilitating the San Jose workshop with me. And thanks to Orange County Friends who, in addition to hosting one of the workshops, invited me to facilitate their Easter weekend retreat on the topic of outreach and inclusion. Would your Meeting like to host one of these workshops next Spring (or another time of year)? Let’s get it on the calendar. Please remember my open invitation to consult with your Worship Group, Meeting, organization, or committee. 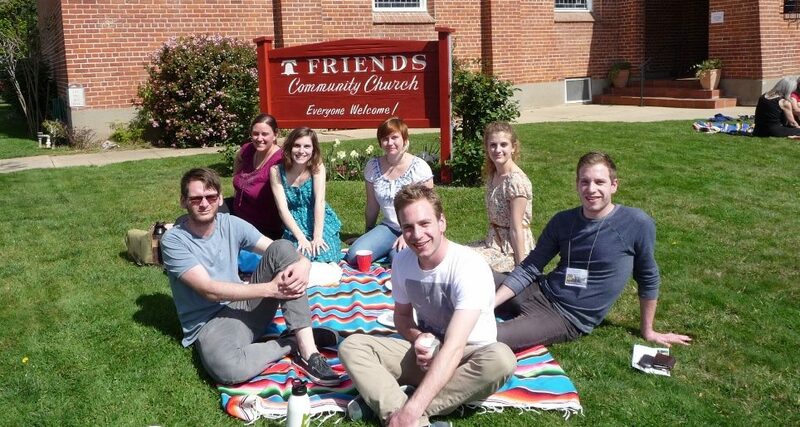 I visited Ojai Worship Group this spring, meaning I’ve now visited all of SCQM at least once! I’m still working on the rest of CPQM and discerning how to serve Mexico City, Hawaii, and Guatemala. I’m excited to see many of you soon at summer events. Youth Program Coordinator Supervisory Committee members: Sophie Brinker, Jennifer Carr, Mary Klein (co-clerk), Steve Leeds, Hannah Mackinney, Thomas Rios, Jim Summers (co-clerk), and Nathan Walker. Two at-large spots are open, and two youth spots will be opening up. Email pym.youthcoordinator@gmail.com to have youth events included on the PYM calendar. Please support young Friends and families in your area to attend events by helping them register, figure out payment and/or scholarships, and arrange transportation. Ben Lomond Quaker Center Youth Camps (Ben Lomond CA) quakercenter.org Quaker Center’s annual passes can be applied to camp! ○ Quaker Camp (4th-6th grade) & Service Camp (7th-9th grade) run concurrently, June 22-29. 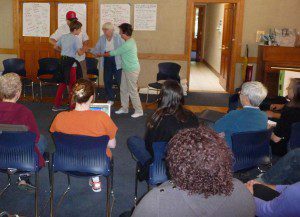 ○ Peace Action Camp: outdoor adventure and nonviolent direct action for rising 10th through 12th graders, July 27 – August 2, Reno & Carson City, NV. ○ Teen Leadership Camp (ages 15-16): two 2-week sessions: 6/28-7/13 & 7/13-7/27. ○ Sierra Friends Camp (ages 9-14): four 1-week sessions, combinable into multiple week stays: 6/28-7/5, 7/6-7/13, 7/13-7/19, 7/20-7/27. Want to learn more about your PYM youth program and current events?